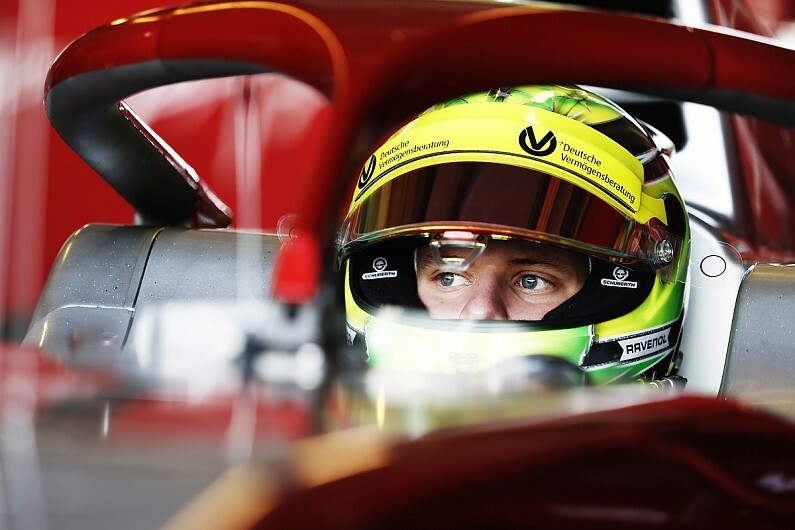 Mick Schumacher takes the next step on the road to a Formula 1 career. The 19-year-old will be part of the Scuderia talent factory following the steps of his dad. His entry into Ferrari's talent factory is perfect which was confirmed by the Scuderia on Saturday. The son of Formula 1 record world champion Michael Schumacher will be taking part in the Ferrari Driver Academy's "season preparation activities" from next week. "I'm incredibly happy that Ferrari is working with me and that I'll be wearing red in my near motorsport future," said Schumacher: "This is another step in the right direction and I can only benefit from the immense know-how that is bundled there. I will do everything I can to make my dream of Formula 1 come true." The new Ferrari team manager Mattia Binotto acknowledged the "special emotional importance" of this staff, "but we chose Mick because of his talent and his human and professional qualities". This will also allow Schumacher to compete in the Formula 1 Scuderia tests for the coming season, where teams will have to field drivers who have not contested more than two Grand Prix events on two out of four days. So far Antonio Giovinazzi has driven such races for Ferrari, but the Italian changed to Sauber this season. Schumacher, Formula 3 European Champion, could also take on the role of simulator driver. After his promotion to Formula 2, Schumacher will continue to sit in the cockpit for the Italian Prema team. Ferrari had already rolled out the red carpet to the teenager verbally. "How could Maranello say no to this name," said former team boss Maurizio Arrivabene: "Our door is always open. The story that Ferrari associates with this name is a special one". Mick's father Michael won five of his seven World Championship titles for Ferrari between 2000 and 2004, the name Schumacher stands like no other for the brand's successes in Formula 1. The last Ferrari World Champion and only one of the post-Schumacher era was the Finn Kimi Räikkönen in 2007.